Have you ever wanted to have your own disco ball? What about a dream catcher to keep all the bad vibes away? Good Vibrations held a workshop making dream catchers and mini disco balls here at The Shaw on Saturday 29th of September with Manma Saor was on decks to aid tunes for the day. The event is all about connecting people through the arts – whether alone or with friends and meet some new people whilst having some pints. 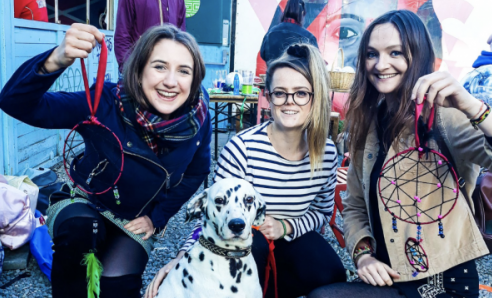 The crew even had Otta the dalmation on hand for some cuddles Check out some snaps below.